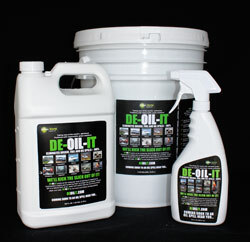 Green World Innovations, Corp. is the master world-wide distributor of products like DE-OIL-IT. Our heritage is hallmarked by a passion to design, create and offer environmentally responsible products used for cleaning, maintenance, and performance enhancement. 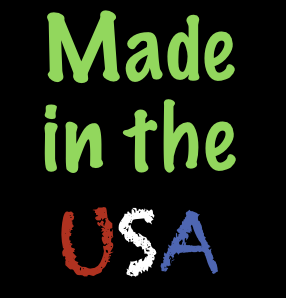 Located in the Tampa, Florida area, Green World Innovations Corp. has acquired GreenWorld Products. We are currently positioning DE-OIL-IT Industrial Concentrate through testing as a Surface Agent Cleaner for listing on the EPA’s National Contingency Plan (NCP). Our work with DE-OIL-IT has led us to win an inaugural first product to be submitted and approved by the YACHT MASTER ENVIRONMENTAL PROTECTION PROGRAM (EPP) which exemplifies companies like GreenWorld Innovations and products like DE-OIL-IT as best practice examples of environmentally safe and responsible product application that interacts with our water, air and land. DE-OIL_IT is an entirely organic based formula that is non-hazardous and when used appropriately can decompose, detoxify** and degrade hydrocarbon (oil, fuel, and lipids / grease) to an environmentally inert, reduce or completely eliminated hydrocarbon pollutant toxicity. VISIT OUR PAGE ON THE ENVIRONMENTAL PROTECTION PLAN for more information on the EPP.